When you were a kid did you ever have a contest to see who could spot the most wildlife? Camp at Rock Creek Campground and you might just win the prize. Located on the western shore of Crane Prairie Reservoir, just off the scenic Cascade Lakes Highway, Rock Creek is known for wildlife sightings. In the sky you might see hill cranes, Canada geese, bald eagles, osprey, chickadee, black-backed woodpecker, and Williamson’s sapsucker. On land, deer, elk, and black bear have been known to stroll the area, along with squirrel and beaver. When you aren’t wildlife watching, you can fish for rainbow trout, mountain whitefish, brook trout, and largemouth bass. Crane Prairie is also a popular spot to cool off in the summer, whether you’re swimming, paddling, or just dipping your toes from the shore. 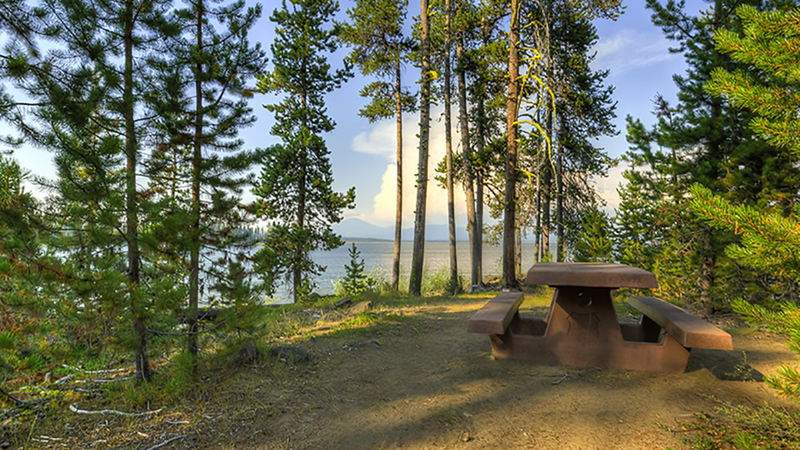 Rock Creek Campground consists of 26 sites and campground amenities include a boat launch, fish cleaning station, picnic area, drinking water, and vault toilets. The area is typically open from the end of May through early September and camping fees are $16-$26 per site per night.